Sweet Jams & Honey — Made with love in Jenny's Kitchen. There is a slight savoury twist to this wonderful fruity jam. Try it on freshly buttered toast or a warm croissant as well as a spoonful in your favourite cake so that it is really moist. This old fashioned jam is fantastic in tarts. Also a spoonful in fruit cake adds flavour and moisture and of course wonderful on toast. Blood oranges are perfect for this wonderful tangy marmalade which also has a wonderful rich colour. Enjoy on freshly made toast for breakfast. The perfect start to the day. This beautiful sweet jam is heaven on toast. The richness of the blueberries and softness of the pear highlights the beautiful rich flavours of the berries. Great on toast or sweet breakfast rolls and fantastic in a tart for dessert. This wonderful flavoured berry, which is a cross between a raspberry and a blackberry, makes a delicious jam just bursting with flavour. The jam is fantastic on freshly made toast. You can also add a little in cakes to add flavour and moisture and in home-made tartlets. These small citrus are flavoursome & delightful in this marmalade & wonderful on toast and croissants. This wonderful plum makes a flavoursome jam which is just great on toast. It is also a fantastic accompaniment to rind cheeses. This is a good old fashioned jam that is made with fresh & dried local figs. It is fantastic on toast and in tarts. A combination of oranges, mandarin, grapefruit & limes/lemons are used to make this marmalade. 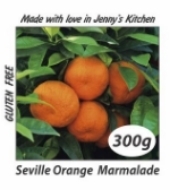 It is a full flavoured, tangy marmalade and is a delight on toast or with breakfast rolls. For a bit of zest in your fruit cake a spoonful is a must. Small batches are only ever made so that you can enjoy the wonderful flavours that can only be created this way. The traditional method of hand extraction is used to obtain this natural honey directly from the comb. Our hives are situated in an area where quality grasses & native flora grow in abundance, therefore our happy bees produce this fantastic 100% bush honey. This jam is for marmalade lovers & is wonderful on toast, for glazing cakes, adding to fruit cake and is great on fruit or banana bread. This favourite is delicious on freshly made toast. It will also add some zing to your fruit cake mixture. The mulberries have to be picked before the birds have a wonderful feast. At its best on freshly made buttery toast and warm croissant. Small batches of locally grown fruit are only ever made to ensure that you enjoy the wonderful flavours that can only be created this way. These beautiful home grown passionfruit make a rich, tasty jam for toast. Also try as a filling for pastries, mix with yoghurt, as a topping on cheesecake or mix with ice cream, totally delicious. This wonderful tropical jam is great on toast. It's tasty and slightly zesty with a subtle & delightful ginger flavours. Try some spooned into small baked tarts - its delicious! Delicious sweet home grown peaches are used in this beautiful, flavoursome Jam with tangy passionfruit to round off the great flavours. Try some on freshly made toast or buttery croissants. A spoonful mixed into your fruit cake mixture adds lots of flavour and moisture to your cake. Sweet pineapple jam is a great addition to your cake mixture to add flavour and moisture. Plus great on thick buttery toast or croissants as a special treat. 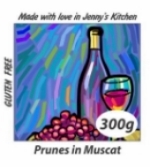 Prunes in Muscat is fantastic on ice cream, cheese platters & if so desired can be spooned on cereal as a treat. The richness of the berries and the tangy apple makes this a really flavoursome jam. Great added to cake mixture for moisture and taste. Really delightful on toast or croissants. This great old fashioned jam is perfect on toast or sweet breakfast rolls. Also as a flavour in Greek yoghurt and as a pie filling. The beautiful feather flowers picked from the Rosella plant make this sweet/savoury jam which is fantastic on toast, sweet breakfast rolls or in a tart. Made with bitter sweet Seville Oranges this displays the true taste of a good marmalade. 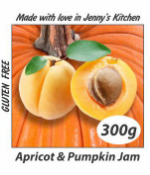 It is fantastic on toast and great added to fruit cakes for extra richness and flavour. A family favourite. This is a truly old fashioned full flavoured jam that is fantastic on freshly made toast and perfect in a home made pie or tart. Small batches are only ever made to ensure that you enjoy the wonderful flavours that can only be created this way. Quince jam or paste as it is sometimes referred is fantastic with a soft rind cheese on your cheese platter. Also served with fresh brioche, freshly made toast or croissant for the perfect start to your day.